Minerva Kenny is a dear woman, but her tendency to 'borrow' things without asking has finally caught up with her. William Barrett has learned Minerva's shameful secret, and he's holding it over her head. Mrs. Jeffries and the staff at Upper Edmonton Gardens have hatched a scheme to save her-but when they try to recover the damning evidence from Barrett, they discover something more shocking: Barrett's corpse. Considering the victim's wicked ways, Minerva is far from the only suspect. 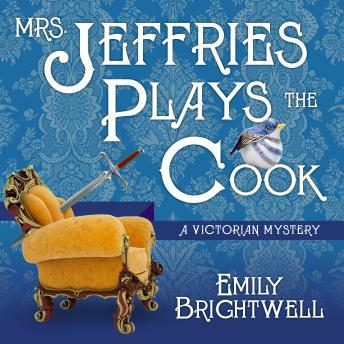 And when Inspector Witherspoon's cook is called away suddenly, Mrs. Jeffries finds herself doing double duty: cooking for the household and trying to cook this killer's goose.